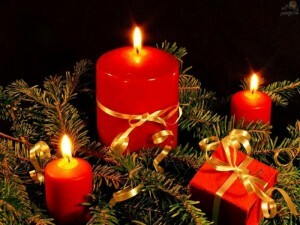 Christmas, between faith and tradition, is the most important celebration of the Christian calendar. More than that, aside from the religious quality of the feast, peace and joy characterizes this time of the year, while consumerism has turned Christmas into a universal celebration to be enjoyed by the non-Christian world as well. How did this happen? And when did this start? We know December 25th is the day we celebrate Christmas, the birth of Jesus Christ. But in fact there is no mention in the Bible about the day Jesus was born. It is only supposed the date was either in spring or in autumn. But in fact this aspect is of less importance. But what are the origins of Christmas? Before December 25th became the most important date for Christians everywhere, the date was celebrated in the old Roman Empire… under another form. The Saturnalia and the Birth of the Sun God Mithra were two of the most popular celebrations for the Roman pagans. These were days of carnival, full of excess and licentious behaviour. Orgies and sacrifices were common in these festive days that marked the passing into a new year. Through the Edict of Milan of 313, the Emperor Constantin imposed Christianity as an official religion of the Roman Empire. Trying to increase the popularity of the new religion and to curb the orgiastic pagan celebrations, he establishes December 25th as the Birthday of the Lord. The date has remained unchanged as well as something else: a series of traditions, most of which have a pagan origin. The Christmas tree, for instance, is associated with the Saturnalia. Back then, the worshippers of the Asheira cult venerated the forest and decorated trees which they brought into their homes. Gift-giving was a popular behaviour during both the Saturnalia in December and the Kalende in January. Strangely enough, the disagreeable citizens of Rome were urged by the Empire to give offerings and gifts. Later on, people started exchanging presents. Christianity brought about the generous figure of Saint Nicholas, the inspiration for the legendary Santa Claus. This entry was posted in Auto Car Hire Romania and tagged between faith and tradition, Christmas. Bookmark the permalink.